Moscow has a very big and certainly a very vibrant expat community, however, it normally takes some time for those who have just relocated here to find out what’s what and where to meet others like themselves. Luckily, there is a new online resource that allows people to register and become members, find and exchange information, learn about events and make new friends. This interactive space is called Moscow Interacts (http://moscowinteracts.ning.com) and, as promised by the slogan, will ensure that you’re "never alone". Currently this platform has more than 1,000 members made up of expats, locals and Russians who have returned to Moscow after having lived abroad for a long time so you’re guaranteed to find some people with similar tastes, preferences and backgrounds. It’s very easy to join and customize your profile and get straight to mingling online! Once you’ve agreed to move communication from the digital world to the physical one, the site’s creator Don Craig posts up-to-date information on which of Moscow’s restaurants/bars/cafes are best-suited for expats and have the best deals and nights. And the variety is impressive! From Latino dance parties to Super Monday Specials at an Irish Pub, there is no lack of things for you to do in your spare time. The photos and videos sections let members upload and share amusing or useful material. Members can find flyers for various happenings, photos from past events and videos of different interpretations of the Harlem Shake in Moscow. If you’re looking for some advice, got a question, a query, an announcement or just want to share something, the discussion forum is the perfect place for all of this. Groups and blogs also provide a platform for people with shared interests to chat about things important to them and organize some outings. 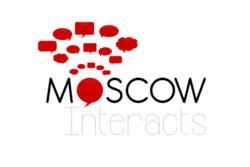 So if you’re new in town or are simply looking to make some new friends, make a profile on Moscow Interacts – it’ll only take you a few minutes – and you’re all set to start broadening your social circle!